I few years ago, I got an email from the producer, Michael saying that he wanted to use one of my songs in the film. In the end, there are a few Zack David tunes in the film, which is a fantastic romantic comedy that’s witty, timely, fun, smart and so much more, by the way. Yumi and I were able to go to the screening of the film during the Studio City Festival. If you’d like to see the trailer to the film, but you were too shy to click the link above, here’s your second chance, right HERE. The ZD song “Map to Heaven” shows at about 1:34. It was so fun to be a part of this film…heck, I even make a cameo and a half. Michael and his wife, Erika (co-producer, co-awesome person) made a trip to Encinitas to film me performing an instrumental that shows up as the background music in a section of the film. This has all inspired me to record a new album (new post on that coming in a week or a month or two…or three) and also to explore even more avenues as a 21st-century working musician. 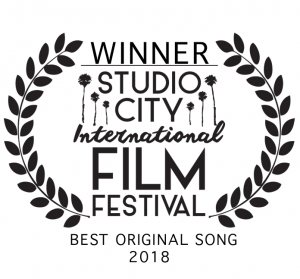 I’m blessed to have had the musical genius of Ciera DeSilva and Xhio G. Tasson as fellow musicians on a couple of the tracks that made it onto the film – “Being No One” featuring Ciera’s beautifully expressive violin and “Map to Heaven” featuring Ciera again as well as Xhio’s driving cajon rhythm. These songs are both a part of my 2015 ep entitled ReBelieve. This was recorded in my tiny (so tiny) apartment in Chiclayo, Peru while I was finishing up my service in the Peace Corps (the second of two EPs recorded there with those two fellow musicians). Equipment included a counterfeit Shure SM58 mic, a hanger with a sock stretched around it as a microphone pop filter and, a few instruments and…yea, that’s it. It’s always fun to chronicle a time in your life through the power of music creation or film. Well, this is getting wordy, but I’m excited about what the future holds…so excited that I’m finally updating you here after 9 months without posting. Before I go, my first full-length album in forever will be released some time in April (next month!). 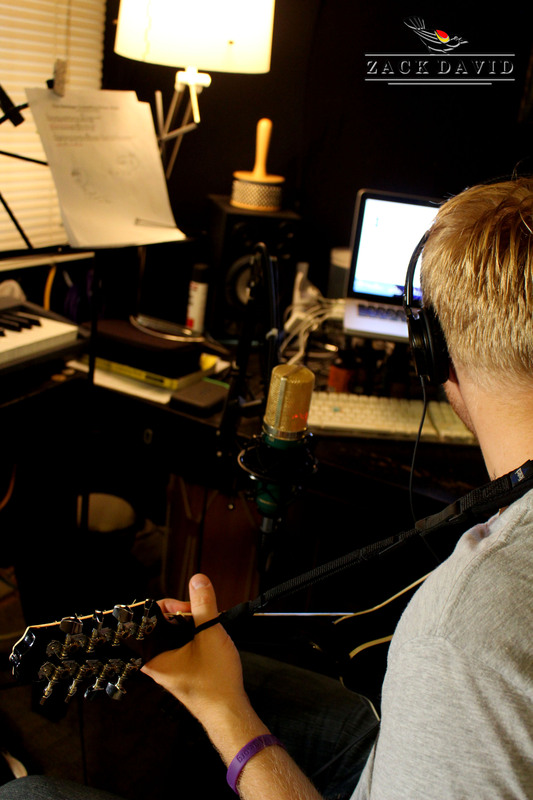 The album entitled “To: Mom” will include 10+ songs that I’ve written between 2008(ish) and well, yesterday. Stay tuned. As always, thanks for your support and enjoy the day! My wife, Yumi, and I found a nice cabin on airbnb in Julian, CA. Our three days and two nights there were delightful – a nice mix of work and (mostly) play. We did have one particularly intense brainstorming / planning session that led me to realize that I haven’t posted here on the blog section of my website in a while! I just wanted to stop by and say hi. Oh and yes, we did have some pie! It was delicious, but I must say, Encinitas’ very own Betty’s Pie Whole is right up there with them, in my opinion! I’ve been very busy, so I didn’t have a chance to mention that I’ve participated in FAWM (February Album Writing Month) again this year – and I made it to 14 songs…despite having only two songs done half way through the month. My SoundCloud page is well past due for an overhaul, but feel free to check it out, anyway! Otherwise, mostly everything is the same…and continuing to grow. Don’t forget, if you or your friends or colleagues need help with custom music and/or podcast editing, I’m your guy. A custom-tailored, personal song makes for a great, unique gift – just in case you or someone you know is looking for a special gift or a business / podcast jingle. 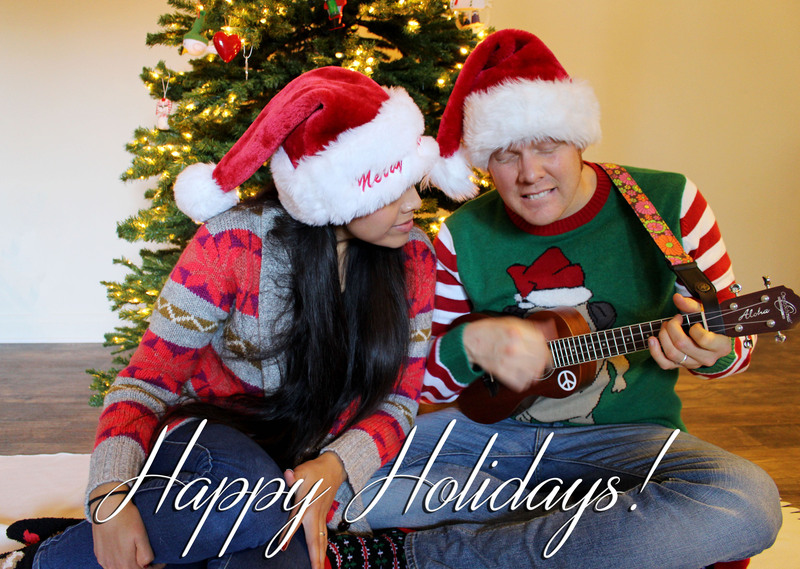 Before I go, I’m excited to announce that Yumi is learning the ukulele…and she’s learning fast! 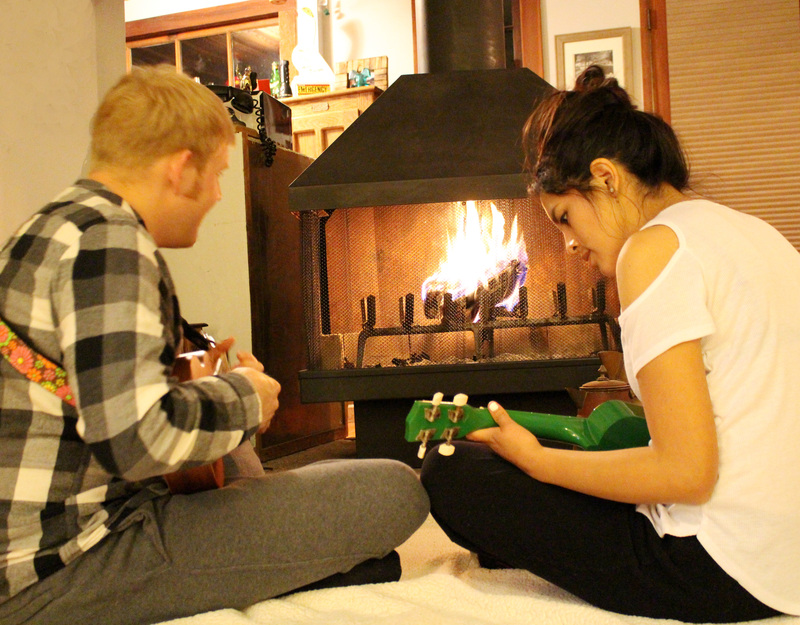 We had some great uke time together in Julian in front of that fireplace. Let me know if you’re heading to Julian and need a place to stay – I’d love to refer you to the cabin we spent a few days at. Ok friends – I could keep rambling forever but I think it’s time to go get a green beer from Mr. Peabody’s here in Encinitas. ‘Tis a Saint Patrick’s Day tradition, after all. Happy Holidays and wishing you a happy, healthy 2018 ahead! 2017 was a wild ride that turned out great, in the end. I’m now performing at almost 25 assisted living/nursing homes as well as farmers’ markets, many private events and more. I’m working with a few more podcasts and my custom-song projects have been coming in steady. I’ve been slowing down in giving guitar lessons, since it has gotten hard to schedule along with our pet sitting business, which is also going very well! We’ve been making our way around town and to the beach when possible, as well as taking our little adventures away, from time to time. 2017 brought us a new nephew named Azi as well another “newphew,” Lucca, who was recently born last month to our friends. It’s been a year of family moving away and we even moved, back in July (almost forgot about that) to apartments near our old place – still in Encinitas. There’s so much more to chat about, but I’ll hang it up for now. Looking forward to hearing from you this year. Just stopping by to let you know that I finally updated my royalty free instrumental music library. If you need music for your project, video, film, commercial, corporate spot, gift, website, advertisement, animation, event or anything else, I’d appreciate if you’d check out my library. There are tunes in there ranging from soft to loud, folk to rock, sweet to weird, and everything in between with inspiration from all around the world. There’s more to come as my goal is to grow the library to 100+ songs by the end of the year. Most of the songs are selling for around $15-$20 for standard use. Contact meHERE if you are interested in using my music in your project! I wanted to stop by and let you know that I’ll be launching a new website for my podcast editing, distribution and facilitation service. Whether your podcast is already up and running and you need a great editor, or your podcast is just an idea waiting to come to life, I’m here to help! My years of audio experience working at the radio station as well as my personal audio projects have given me thousands of hours of audio-editing experience that allows me to confidently offer you a satisfaction guarantee. I’ll have your podcast up on iTunes, Stitcher, Google Play and other outlets in no time! If you or anyone you know needs a podcast guru that will offer you excellent service at a great price, I’ll be honored to be your guy. Hope you are enjoying this lovely spring-going-on-summer. Here we are again my friends…another February. Time to record another album. That’s right – 14 songs in 28 days. Last year I only made it to 5 songs. It was my first time since doing this yearly challenge that I didn’t make it to 14 songs. This year marks my fifth FAWM effort and I’m going to make it! My wife Yumi and I have been pushing each other to express and document our art – whether it by a musical recording of mine or a design or video of hers. I’ve been creating an instrumental every week but now I need to step up my game, at least for this month. If you are a musician yourself, or at least a lyricist, I encourage you to partake in FAWM this year! FAWM has a great community of talented and kind musicians and lyricists. Remember if you or anyone you know needs custom music – either instrumental or with lyrics/vocals – let me know and I’ll be happy to help! Wishing you peace in these turbulent times! Hi folks! Hope you had a lovely holiday and will have a fun and safe New Year celebration. I’ve been blessed to have been keeping very busy which is why you haven’t heard from me on my blog here for a while. I’m looking forward to recording a new album and starting up my YouTube channel. There! I had to say it here so you will all hold me to it! On another note, I’ve been very blessed to have been accepted to perform at various assisted living homes around the area. Some very kind musician friends have connected me up with a handful of new places. For this I’m very grateful. That’s about it for now my friends. Short and sweet. I’ll talk to you soon. Until then, take care! Hey folks! Long time, no chat! This post is really just to update you so you know we’re alive and kicking here. My wife Yumi and I (but mostly my wife) have launched a pet sitting business called Encinitas Pet Sitting. We’ve been busy kicking off that business. Give us a holler if you need assistance with your furry ones! 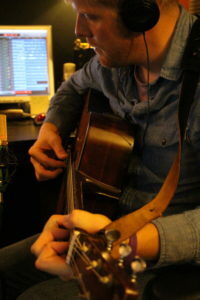 Genres include World, Peruvian, Folk, Childrens’, Corporate, Country, Bluegrass and much more. 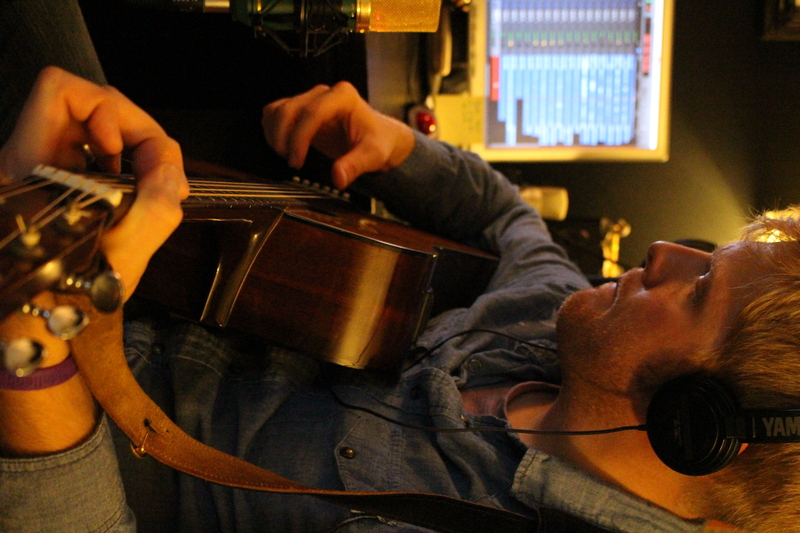 Of course, if you’d like a custom song just for you or your business, that’s my main jam…so let me know! I’m always growing my studio musician team. If you play an instrument or sing and would like to be involved in my projects and earn some extra cash, let me know. That’s about all I’ve got for now. Stay cool out there! Mayday! Mayday! …Wow, It’s Almost May! Luckily, it’s for the good reason that I was super busy working on custom-tailored songs and music ranging from birthday gift songs, to corporate video background music to Podcast intro jingles, and more! Though I may not have recorded 14 songs specifically for my FAWM goal, I recorded well over 14 for clients! Though I’m keeping busy, I’m always looking for more work! During the month of May, if you mention the code MAYDAY to me either in email, phone call or however you contact me – I’ll give you %10 off your custom song order. April has been a big month of upgrading my studio and studio instruments as well as continuing to refine my sound and fine tune my abilities as a studio engineer. I appreciate your support and look forward to working with you! In addition to his custom-tailored song service, Zack also performs live shows in the area, gives lessons and is a Podcast editing and distribution guru.